Like a lot of the country, I've become obsessed with FX's "American Crime Story: The People Vs. O.J. Simpson," Ryan Murphy's massive miniseries dramatizing how our whole country lost its collective mind 20 years ago. I was one of those people, endlessly obsessed with the trial, and the cast of characters, and what the case had to tell us about class and wealth and race and popular entertainment and the creeping sense, for this college student about to enter the regular grownup planet at the time, that everything about the adult world was stupid and I should have my guard up the minute I get there. The show is impeccably cast -- I seriously love everyone in every role, particularly John Travolta acting very strangely as Robert Shapiro and David Schwimmer serving as a vessel for Murphy to make fun of the Kardashian sisters -- and just the right mix of Serious Filmmaking and Total Irresistible Camp that fits the madness of the whole spectacle like, well, a glove. I find myself counting down the minutes to the next episode -- the 1-2 punch of "Better Call Saul" returning Monday night and that Tuesday is greatly decreasing my productivity this week -- and greatly enjoying the comfort of nostalgia. I'd forgotten how fondly I remembered some of those crazy characters. Hi, Barry Scheck! Anyway, thinking about the trial, and how much it mattered at the time, got me to wondering whether we actually learned anything from it. What were the lasting takeaways? Seeing all those characters again reminded me how they weren't ultimately all that important, how little it had to do with them in the first place. O.J. 's in jail now, some of the others (Johnnie Cochran, Robert Kardashian) have died, everybody else sold a book or two and came to terms with their bit parts in the country's collective subconscious. We learned a little about how differently white Americans and black Americans see the world, but, you know, obviously not enough. And we learned that, under the right circumstances, we were OK with turning a gruesome double murder into mass entertainment. We were, in fact, much more than OK with it. But my takeaway, the one way that trial made me see the world differently afterward, was simply this: We don't know our celebrities and sports stars, at all. We know nothing about them other than what is carefully prepackaged and prepared for our mass consumption. And if we learn something that is different than our preconceived notions about a celebrity, it takes us forever to change our viewpoint of him or her. I know that if you weren't alive or alert enough yet to know O.J. Simpson before the murders, you can't understand this, but trust me: There were few humans on the planet the average American would have suspected less of being capable of murdering two people. Everybody loved O.J. He was funny and charming and an affable (if not necessarily loquacious) broadcaster, and you could watch highlights of his career in football and still not quite capture how great he was. He was Barry Sanders plus LaDainian Tomlinson plus John Riggins. He was that, and he was also Nordberg. The idea that that guy -- the friendliest, most harmless guy, the guy in all the commercials -- could have been guilty of anything more than maybe liking golf too much blew our minds. We know now that that was just the face O.J. was showing the world, but we believed faces like that back then. We even believed O.J. was a great guy when he was arrested for domestic abuse but claimed the whole thing just got blown out of proportion. O.J. could even go on David Letterman's show a few months afterward and joke about the police, and no one seemed to notice or care. That's what the trial did to me, or at least what I thought it did. It made me realize that I didn't know O.J., or anyone, from that individual's public persona. All those soft focus interviews, all those triumphant narratives, all those "look at what a great guy this person is when the camera is off" planted stories -- not only did I not believe them anymore, I actually separated them from the work itself. 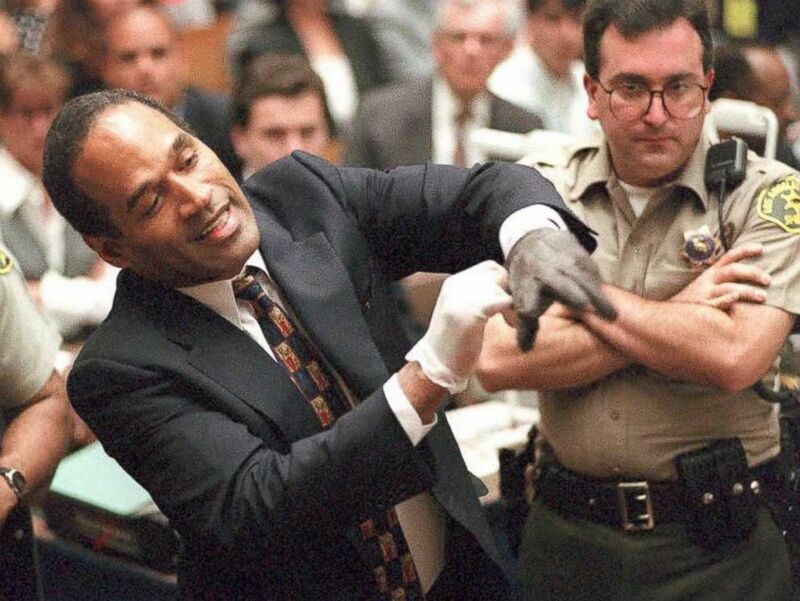 If you didn't care about O.J. as a person -- if you didn't believe anything he said about himself off the field -- you wouldn't be as vulnerable to deception. You knew him as a great running back and a cheesy actor and that was it and all that mattered. The rest was merely public relations. Thus, I shouldn't have been surprised when Bill Cosby turned out to be an evil human being, or when Brett Favre turned out to be a phone fetishist, or John Edwards' marriage turned out not to be the paragon of virtue we had been told it was. (Remember the lovely stories about going to Wendy's together every anniversary?) O.J. should have been the ultimate proof of why we should be skeptical at all times, that we can enjoy a nice feel-good story but not go hook, line and sinker on it. But I was still taken aback by those stories, in spite of it all: I, like millions of others, needed to be overwhelmed with evidence to finally believe them. The first stories on Cosby came out in 2005; Edwards had been dogged by tabloid reports for years. But we didn't believe them because, even after O.J., we didn't want to believe them. They clashed so much with the public persona of a celebrity that we felt like we knew that we couldn't reconcile it. So we ignored it, until we could not anymore. This weekend, the New York Daily News ran a long piece detailing long-dormant sexual assault allegations against Peyton Manning. The piece was sloppily edited, poorly constructed (tip for future exposes on sexual assault allegations: Do not frame them as personal journeys of discovery, particularly if you are a man) and often meandering, but it was nevertheless important. (Note: In the original version of this piece, I erroneously forgot to credit ESPN's Kevin Van Valkenburg for that precise "personal journeys of discovery" phrasing. Sorry. That was stupid and sloppy.) It not only brought up a story about Manning that clashed with his carefully crafted public image, but in fact reminded us that this had been reported years earlier and we had all ignored it. (A decade earlier, in fact.) Why did we do that? Because it didn't jibe with what we thought about Manning. It was inconvenient for us. We were too busy telling other Manning stories, fitting him into whatever narrative we were more used to constructing. When Manning reportedly intimidated the woman accusing him of assault, and even wrote about her in his autobiography (!) calling her "vulgar," we just went along with it, because he was Peyton, and it was difficult to imagine Peyton doing that, because we all thought we knew him. This is not a comment on the specific allegations against Manning, or the merits of the case, or his reaction to it. This is just a reminder that we don't know these people at all. We get attached to them. We believe in them. We act as if we have special knowledge. But we don't. We have years and years of evidence staring us in the face that the idea of public knowledge of a private soul is an illusion. We still ignore it. But let's say it again: We don't know a damned thing. I'd say it's time to stop pretending that we do, but, you know, it was time 20 years ago.